Originally published in 1984, one of the few facts that emerged clearly in the beleaguered field of psychology and mental health at the time was the extent of poor social skills in psychiatric patients, the mentally handicapped and problem adolescents. As a result, during the 1970s, social skills training – espoused as a form of behaviour therapy – seemed to offer great promise, based on the notion that social skills, like any other skills, are learnt and can be taught if lacking. However, in evaluating social skills training, many investigators found that skills did not endure and generalise. 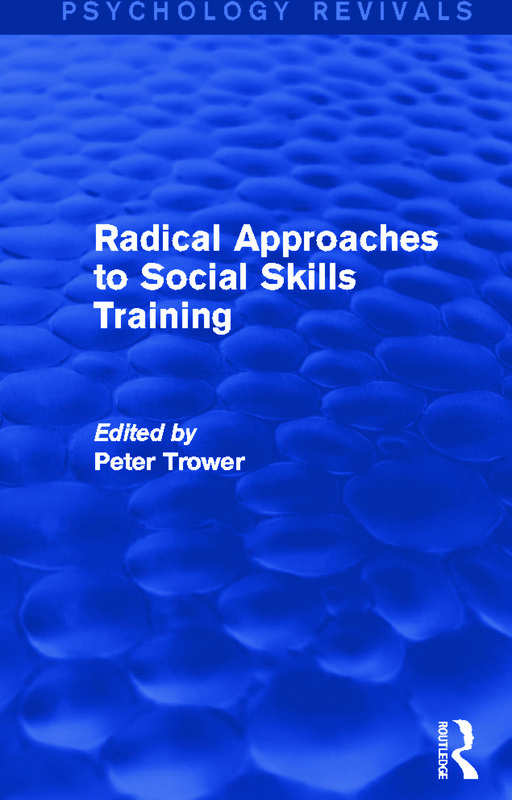 This book attempts a major re-assessment of social skills training. It examines the underlying paradigms, which are shown to be fundamentally behaviourist. Such paradigms, it is argued, severely constrain the aims and method of current types of training. Thus the book develops what is termed an ‘agency’ approach, based on man as a social agent who actively constructs his own experiences and generates his own goal-directed behaviour on the basis of those constructs. This new model is developed in both theoretical and practical ways in the main body of the book and should, even today, be of great interest to all those involved with social skills training.